Guangdong is bounded by the South China Sea and is the southern gateway of China. Situated 3'28"-25'31" north latitude and 108'13"-119'59" east longitude, it has an area of more than 180,000 square kilometers, more than 170,000 square meters of which is land. Guangdong neighbors Jiangxi and Hunan provinces in the north, Fujian Province in the east and the Guangxi Zhuang Autonomous Region in the west. It has a long zigzag coastal line of 3,368.1 kilometers, and 651 islands with a total coastal line of 1,649.5 kilometers. Crossed by the Tropic of Cancer in the central part of its continental portion, tropical and sub-tropical Guangdong has a climate marked by high temperature and plentiful rainfall. It has the highest mean temperature of 28oC in July (the hottest month in a year) and 13oC in January (the coldest month in a year). The greater part of the province has a mean annual precipitation of about 1,500-2,000 mm. and 140-160 rainy days. The coastal regions are frequently visited by typhoons between July and August. It is divided into 21 prefecture-level cities, 33 county-level cities, 43 counties and 3 autonomous counties, with a population of 86.42 million as of 2000, mainly including ethnic groups of Han, Yao, Zhuang, Manchu, etc. Guangdong cuisine, one of the Eight Great Cuisines, emphasizes seafood, and unique, mixed flavorings. It is divided into three branches: Guangdong food is traditional Guangdong cuisine; Chaozhou food is similar to Fujian cuisine because Chaozhou neighbors Fujian Province; and Dongjiang food, which is represented by Huizhou food, emphasizes domestic animals and poultry. The dietetic culture of Guangdong has retained many eating habits and customs of the ancient people, such as eating snakes. In short, to the people of Guangdong, everything that walks, crawls, flies, or swims is edible. 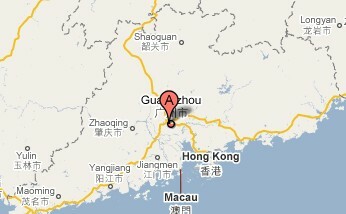 Guangdong, Yue for short, is located in south China, with Guangzhou as its capital city. Thousands of years ago, the Yue people resided here. That is why Guangdong is also called Yue. In the 8th year (887BC) during the reign of King Yi of the Zhou Dynasty (11th century -- 256BC), the capital of the Chu State was in Guangzhou. After the First Emperor of the Qin Dynasty (221-206BC) unified the whole China, Nanhai Prefecture was founded in Guangdong. In the Qing Dynasty (1644-1911), Guangdong Province was established, and this name has been in use ever since. It adjoins Wuling Mountains to the north and the South China Sea to the south, with a landscape sloping from north to south. It's mountainous in north, and in the south there are coastal plains, hills and tablelands. The deltas of the Pearl River and Han River are its chief plains. The West River, the North River and the East River, known as "the Peal River System", as well as Han River are Guangdong's main waterways. Its coastal line is long and zigzag with numerous offshore islands. Its main industrial products cover cane sugar, garments, leather, paper, stationery, arts and crafts, pharmaceuticals, plastics, pottery, electric machinery, electronics, and communication equipment, the output value of which all stands in the forefront in China. Guangdong also holds an important place in China in the production of rice, silk, tea, jute and tropical crops. It has well-developed sea and ocean fishing as well as freshwater and seawater aquiculture. As one of the locations of China's Special Economic Zones, and bordering Hong Kong and Macao, Guangdong has marked advantages in utilizing overseas capital and technology and carrying out foreign economic and technical cooperation. It is also one of the home provinces of oversea Chinese. Guangdong boasts abundant natural and historical sites and sceneries, including Yuexiu Hill in Guangzhou, botanical garden of South China, Xiqiao Mountain, Conghua Hot Springs, the Window of the World, the Yuexiu Park, the Seven Star Crags, and Dinghu Mountain. Guangzhou and Chaozhou are the renowned historical and cultural cities and Foshan is one of the Four Great Towns nationwide.